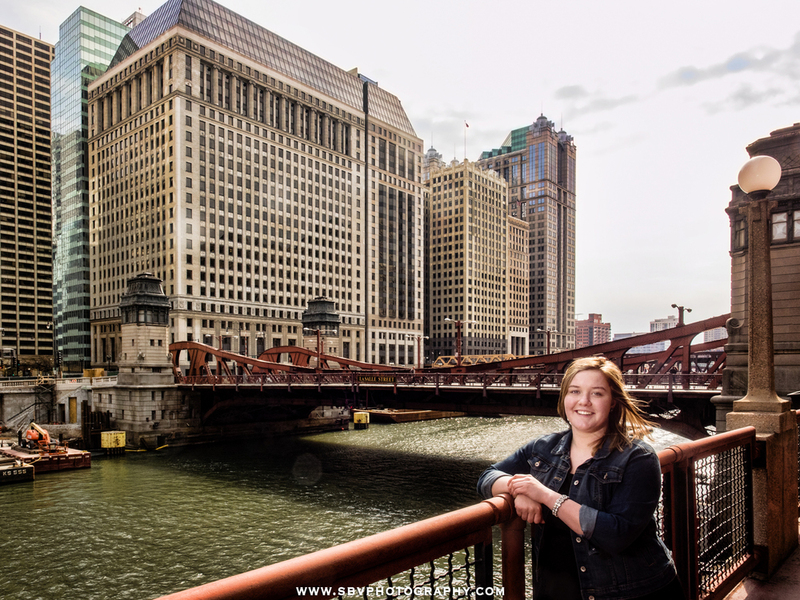 Chesterton High School Senior poses in front of the Lasalle Street Bridge in Chicago. When Samantha and her mom visited my studio and I showed them the various options for senior pictures - studio, beach, music themed, etc., a Chicago Session immediately caught their attention. I love senior picture sessions and I love the windy city so I'm always excited for this shoot. Not only does Chicago offer the wonderful skyscrapers as a backdrop for dramatic high school senior photos, it brings an energy and sense of adventure to the shoot. It always a lot of fun and something the student will remember forever. Close up high school senior portrait. While I definitely wanted to capture the city for Samantha, I knew some close up portraits would be important too. Her mom was helpful to my assistant and I in bringing out some nice natural smiles. They obviously are pals and have a great sense of humor with each other. We went from pretty shots such as the one above to more edgy like this images of the stage door at the Chicago Theater. One of the stage hands was enjoying the session and tried to get us access into the theater to no avail. Edgy senior picture outside the Chicago Theater stage door. Changing outfits can be a challenge in the city, but we can usually find a business to duck into. It was quite a chilly Spring day so the jean jacket stayed on for Samantha's senior session. 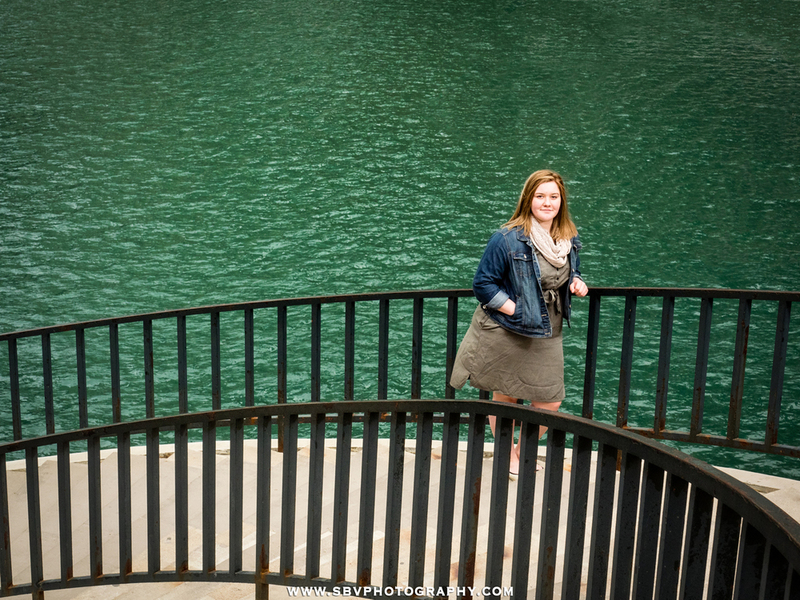 The Chicago river is a deep green in this high school senior photo. The L train whizzes by on the overhead platform in this high school senior photo taken in Chicago. The blue bicycle racks are all over Chicago, but we kept seeing them empty until we were just about to end our shooting for the day. Then we came across a whole rack full of them and we had to take a shot. A high school senior leans against a row of blue bicycles on Michigan Avenue in downtown Chicago. This is merely a sneak peek look at Samantha's senior photo session in Chicago. For more images from this session and other updates, please follow this blog and the SBV Photography Facebook Page.